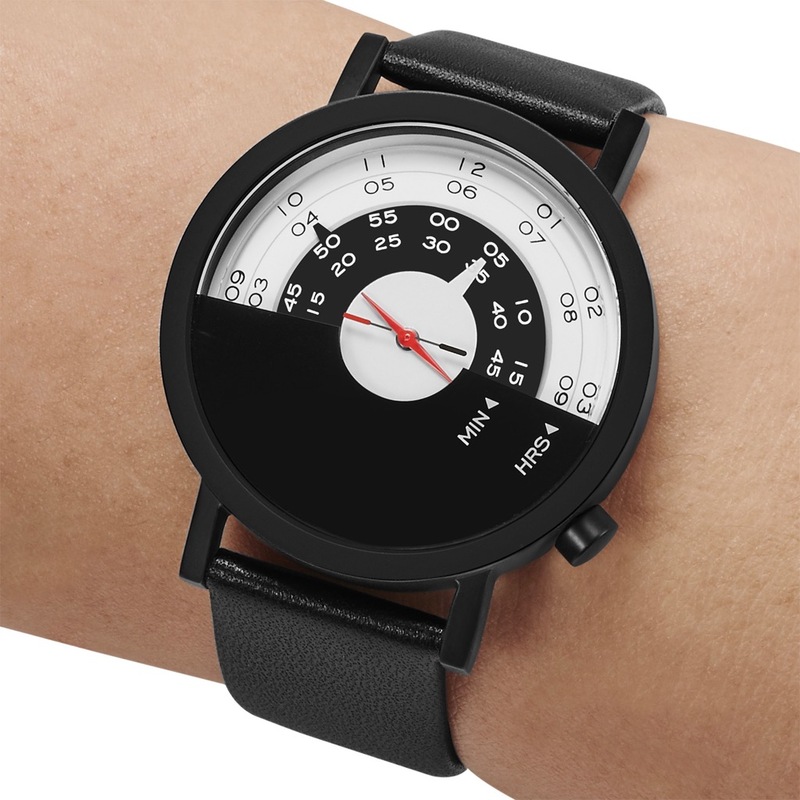 Not all that long ago, just the other week, in fact, we were mentioning Projects Watches in another writeup that was talking about a watch that focused on a new, funkier sort of design-driven watch. This time around, we’ve got an industrial designer and architect (both from Spain) powering up the Projects Watches Beyond the Horizon. To say that Alvaro Alvarez and Maria Lopez have designed a watch that pulls it’s cues from an airplane is a rather dramatic understatement. To start with, the central seconds hand calls to mind a compass, while the outer hour and minute hands (discs, actually, with indicators) look like gauge displays. Then, on the whole, the watch itself presents as a horizon indicator – you know, how far over one way or the other a plane is banking. It’s a bit more subtle, but it’s a clever way to sneak in some aviation cues. Powered by a Miyota 2036 quartz movement, the Projects Watches Beyond the Horizon has a 40mm case and has either a leather strap (in two colors) or a stainless steel mesh bracelet, both in 20mm widths. Wrapping it all up, there is a 5 ATM water resistance rating, so it’s not a watch for swimming, but it’ll of course stand up to the splashes life throws it’s way. Would I buy one for myself based on what I’ve seen? No, I’m not really the target market for this one. If I could make one design suggestion, it would be: Hmm. Why not have the central seconds be an actual compass? What spoke to me the most about this watch: While I may not wear them, I can certainly get behind the idea of these half-hidden sorts of dials.